Mohd Zaqhwan Zaidi clinched his maiden CP130 title with a comfortable third place finish in Round 9 of the PETRONAS AAM Malaysian Cub Prix Championship in Jempol, Negeri Sembilan on Sunday while Mohd Affendi Rosli won the race with a brilliant performance. It was a dream weekend for Zaqhwan after the only man who could stop him, Norizman Ismail came in eighth. Zaqhwan was in solid form to qualify for front row and made a good start when the lights went off but deteriorating track conditions forced him to be cautious. Even so, that did not stop the 19-year old from punching through Mohd Iskandar Raduan, Mohd Zamri Baba and Ahmad Fazli Sham to finish the race in third place with 14’46.782s, ultimately sealing the title with 161 points. Affendi (PETRONAS Yamaha CKJ) meanwhile put in a spectacular performance to dominate the entire 18-lap race in 14’44.125s while teammate, Ahmad Afif Amran came second, 14’45.911s. “I am lost for words and over the moon,” said an emotional Zaqhwan. “We came to Jempol aware we could secure the title given the point advantage, but to actually win it, nothing can prepare you for that. I am really overwhelmed right now. A million thanks to my manager, Shahrol Yuzy for guiding me to this very day and congratulations to the team who has been working endlessly to make sure I win this championship. You guys deserve this,” he added. The penultimate round of the Malaysian Cub Prix Championship also marked a memorable occasion for Mohd Izzat Zaidi Salehan as he secured the CP115 overall title when closest title rival and teammate, Zaidy Mohd Zaifaizal finished seventh. 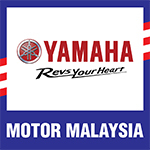 The Motul Yamaha YY Pang ended the chase in style by winning the 15-lap race in 12’30.085s, ahead of seasoned contender, Elly Idzlianizar Ilias with 12’31.023s. 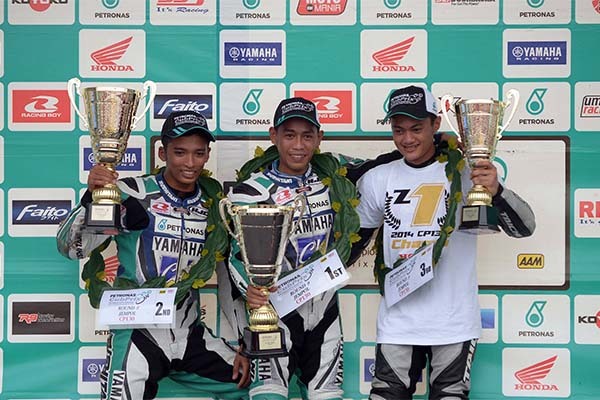 Abdul Muhaimin Roslan (PETRONAS Yamaha Maju) came in third 12’33.743s. “To be frank, I did not expect to win the crown with one more race to spare. I expected Zaidy Zaifaizal to finish quite close to me,” said an elated Izzat. Reigning WIRA Champion, Khairul Idham Pawi maintained his flawless run as he claimed his eighth successive victory in the age-capped category. Khairul bounced back from a botched start to steal the lead from Fairuz Nasir (Felda Pbafb Tech Racing) before pulling away from the pack, concluding the 12-lap race in 10.01.312s. Fairuz was forced to settle for second place with 10’12.012s while Mohd Afiki Supaat (Jetron Apido Team PJM) finished third in 10’12.176s. The win gives Khairul a perfect total of 216 points with Afiki taking second 108 points back followed by Fairuz third in the rankings, 122 points adrift.